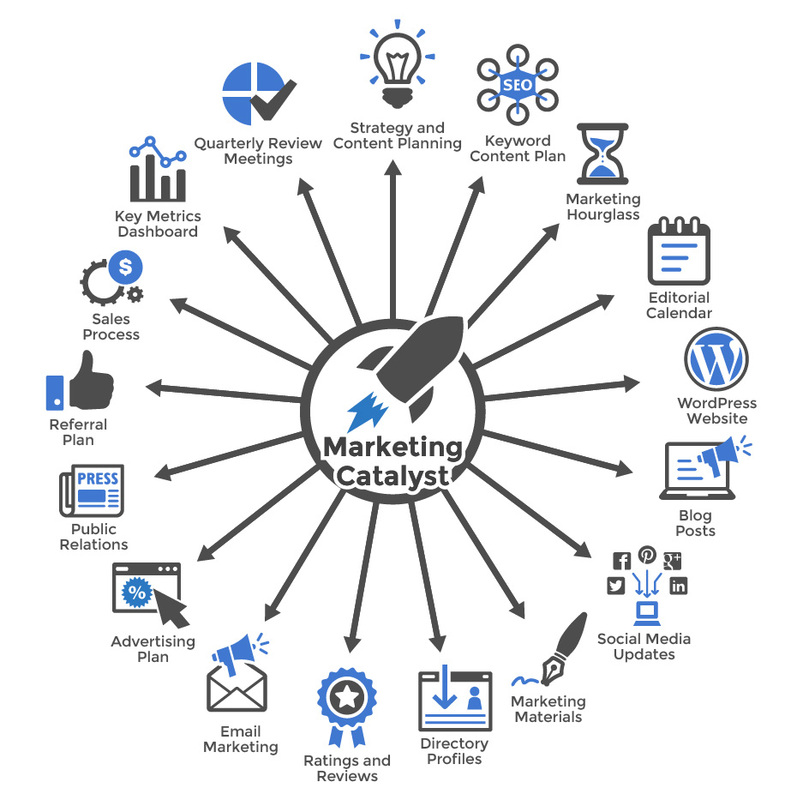 The Duct Tape Marketing Catalyst Program is designed to quickly get your business more exposure, more traction and ultimately more leads. It’s not meant to be a full-blown marketing plan and set of tactics, it’s what you need right now to get the essential elements rolling until you’re ready to tackle even more advanced strategies and tactics. $2,500/mo. Minimum 90-day commitment. The following is a comprehensive list of initial and ongoing activity that comprises the Duct Tape Marketing Catalyst Program.